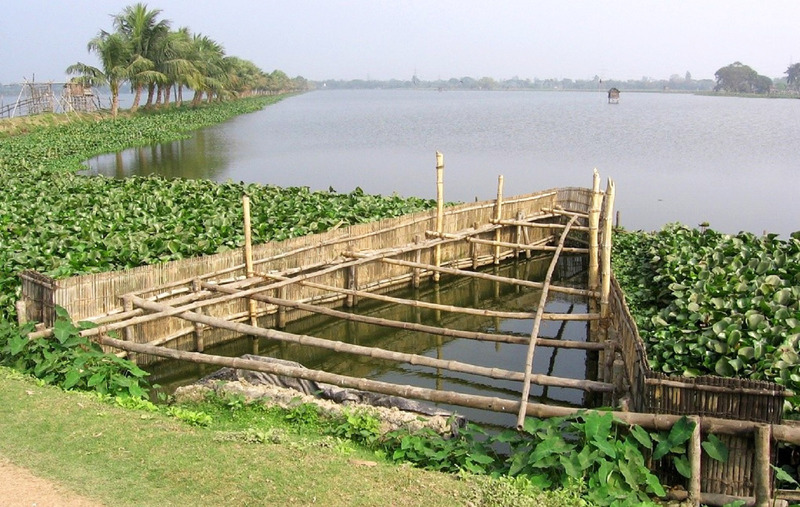 The East Kolkata Wetlands in India processes almost 198 million gallons of wastewater and sewage produced by the region’s population everyday, relying on nothing but nature. What was once a mix of lowland salt marshes and silted rivers is now a sprawling complex of man-made wetlands framed by green space. With the help of local farmers and fishers, the wetlands are maintained in good health to organically clean sewage using sunlight, oxygen, and beneficial microbes. This process, known as bio-remediation, cleans wastewater within three weeks – a remarkably quick turnaround that highlights the great power of natural solutions. The bheries of East Kolkata Wetlands are filled with the nutrient-rich treated water that enable algae and fish to flourish. A family of ducks enjoys a beautiful day in East Kolkata Wetlands. The East Kolkata Wetlands in India processes almost 198 million gallons of wastewater and sewage produced by the region's population everyday, relying on nothing but nature. What was once a mix of lowland salt marshes and silted rivers is now a sprawling complex of man-made wetlands framed by green space. With the help of local farmers and fishers, the wetlands are maintained in good health to organically clean sewage using sunlight, oxygen, and beneficial microbes. This process, known as bio-remediation, cleans wastewater within three weeks - a remarkably quick turnaround that highlights the great power of natural solutions.